Canadian Navy Kingston class patrol Vessel HMCS Edmonton (MM 703) passes in front of Alcatraz Island on San Francisco Bay during the 2009 Fleet Week Parade of Ships. 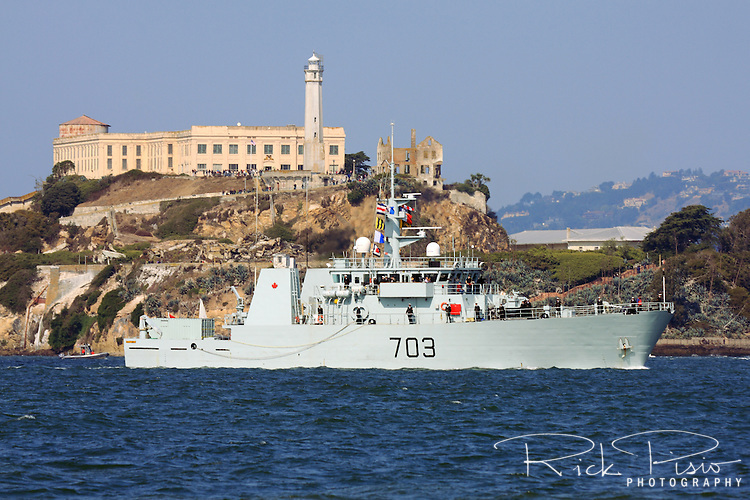 The Edmonton was launched on 31 October 1996 and was officially commissioned into the Canadian Forces on 21 June 1997 and carries the pennant number 703. HMCS Edmonton is assigned to Maritime Forces Pacific (MARPAC) and is homeported at CFB Esquimalt.